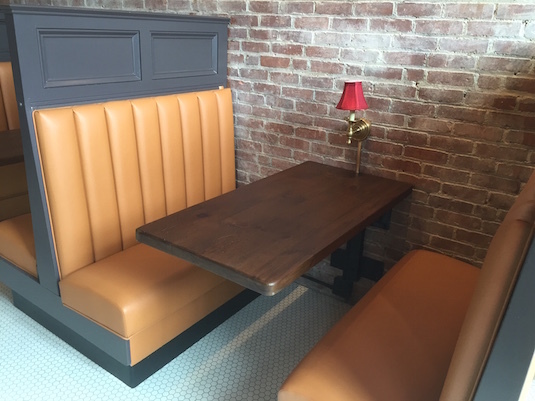 We completed for project for Squealing Pig owner Diarmuid O’Neill, who has opened the Eat with Jack O’Neill Irish pub in West Roxbury, Mass. 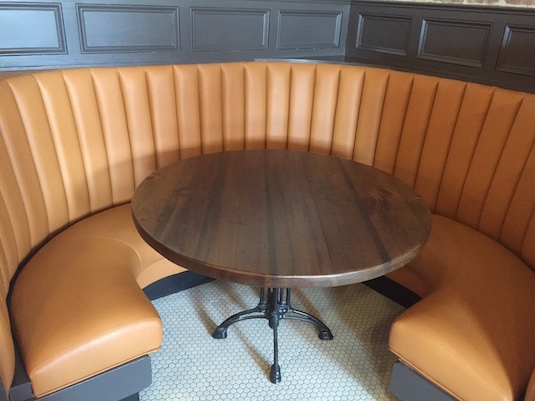 For this project, O’Neill had existing banquette frames that we completely reupholstered and also brought the pieces up to CAL-133 fire code. 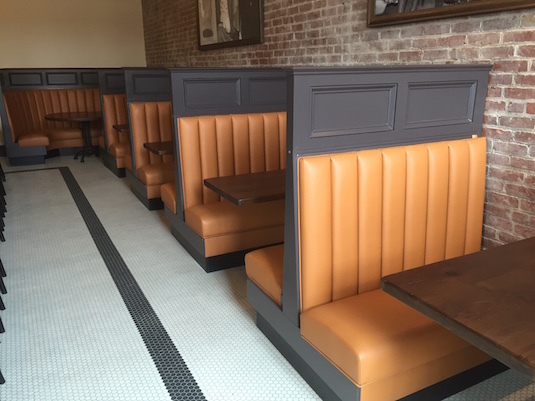 The faux leather was selected by Kevin O’Shea, of Kevin O’Shea Designs.